The Hatchery Is Back in Action! On Friday, December 14th, we welcomed our newest Sound Salmon Solutions employee, Brooke, who is now our Hatchery Operations Coordinator. Her arrival was just in time to get the hatchery up and running again. 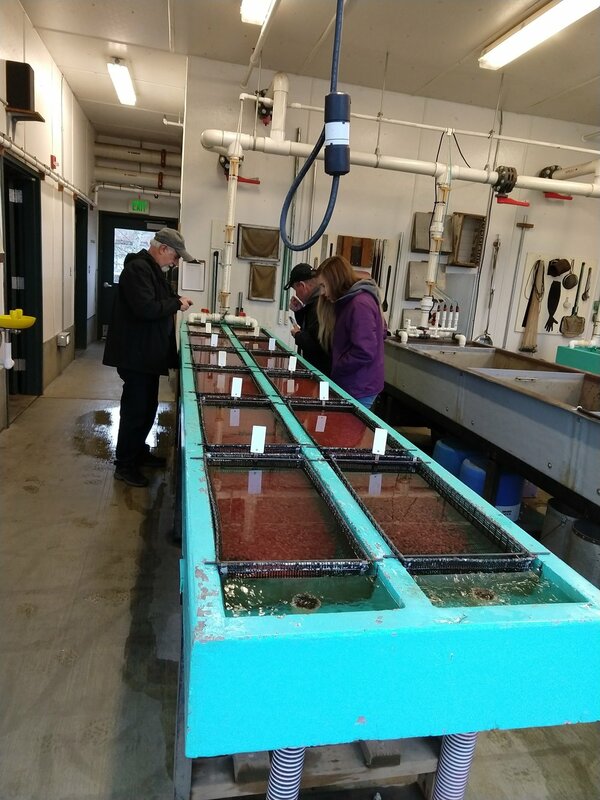 On the following Saturday, the hatchery received its annual 80,000 fertilized Coho salmon eggs to raise and release in the Spring. 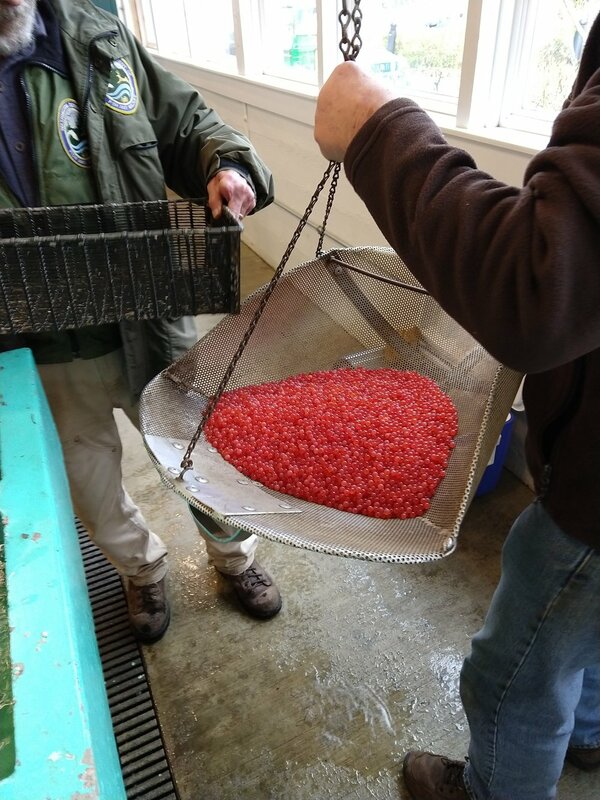 The eggs were collected from the Issaquah Salmon Hatchery and brought back to the hatchery, carefully transported by our dedicated volunteers and our Hatchery Operations Coordinator. Sound Salmon Solutions was grateful to be greeted by many volunteers, some of which came from the Edmonds Woodway High School student group, Students Saving Salmon. Together the volunteers and Sound Salmon Solutions staff worked to sterilize the eggs with an iodine solution to remove bacteria and fungi from the eggs, clean the egg trays, remove the minimal dead eggs, and weigh out the 42.6 pounds of eggs. In the end, each egg tray acquired about 3 pounds of eggs! With the warm winter the Puget Sound area is facing, the hatchery is expecting the eggs to hatch out at the beginning of 2019.